The Netherlands is a land of expatriates, with 20% of all residents citizens of another country. Moving to the Netherlands means settling down in an open minded country, ready to welcome expats from around the world. Begin your preparations early on as some aspects might make the relocation more challenging than it can seem at first. Some language barrier as well as cutltural adjustment makes this assignment destination still challenging. But the great expat community as well as the supportinve services (often targeting the english speaking assignees) have been growing over the years and are here to support your arrival. The Netherlands has always enjoyed a prime spot as a base for European explorations; located at the mouth of three major European rivers: the Rhine, Maas or Meuse, and Schelde. It lies in Western Europe, bordering the North Sea between Belgium and Germany. 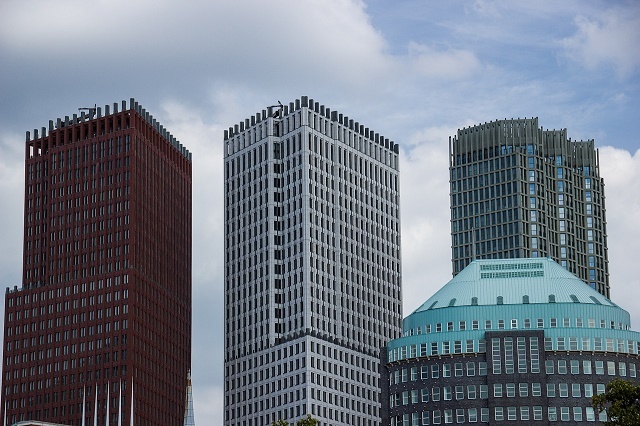 The Netherlands' geographic location has boosted the country's economic position. The Port of Rotterdam and Amsterdam Schiphol Airport are among the most important transport centres in the world, helping to make the Netherlands number six in the world rankings of export and investment nations. Although its economy relies heavily on foreign trade, it has remained stable at moderate levels of unemployment and inflation. The Netherlands, also known as Holland, ranks fifth, behind Denmark, Finland, Canada and Singapore, in the Global Business Environment Rankings 2006-2010 published by the Economist Intelligence Unit (EIU). The Netherlands holds a strong presence of top companies and research institutes in the fields of chemicals, high-tech and innovative materials, food and flowers, life sciences and health, water management and maritime engineering, the creative industry and most importantly, financial services. Industrial activity is restricted to food processing, electrical machinery, chemicals and petroleum refining. The Dutch United Provinces declared independence from Spain in 1579. In the 17th century, Holland became a leading seafaring and commercial power, with settlements and colonies around the world. The Kingdom of the Netherlands formed in 1815 after a 20-year French occupation. In 1830, Belgium formed a separate kingdom. Today the Netherlands is a constitutional monarchy, and the head of state is Queen Beatrix. The Dutch population is just over 16.5 million. Expats can easily blend in with the locals, particularly those enamored with biking, the easiest form of transportation to the city and the suburbs. The official language of the Netherlands is Dutch, and its currency is the euro. It's the home of world-renowned Heineken Brewery and an illustrious diamond cutting industry. And lest we forget the windmills, cheese, clogs (wooden shoes), Delftware and Gouda pottery, dikes, tulips, and social tolerance. The Netherlands is a small yet modern country, proud of its old heritage and not afraid to progress with its identity intact, which proves that even small countries can make a big impression. The Netherlands is located in the north-west part of Europe with a total land area of 13,018 square miles. It is considered as a low-lying country because 50% of its surface is just about a metre above sea level. Famous for its tulips and windmills, the Netherlands is a destination filled with rivers, canals and blessed with cool summers and mild winters. The country’s capital Amsterdam is a highly urbanised city which has become a top destination in Europe because of its red light district and active nightlife. Aside from having a robust economy and excellent quality of life, the Netherlands is also famous for its egalitarian belief where people, regardless of their nationality, gender or social status, are given equal opportunities and are treated with utmost respect. Relocating to this country is a great career step but requires adequate preparation so here are some tips that’ll help an expat keep things on track. The most important thing you must always carry along is your passport and your identity/residence card. Expats who are legally living in the Netherlands for more than three months would normally get a permanent residence card (valid for a year renewable each year or for 5 years depending on your contract). Due to the prevalence of illegal immigrants in the Netherlands, the authorities randomly check IDs in public places. Getting local bank cards and credit cards is very advisable since payment in stores can be easily done paying with your ‘bancontact' (ATM card) using your 4 digit Personal Identification Number (PIN). Credit cards in Western Europe come with a 4 digit PIN as well, so you don't need to sign the receipts every time you make a purchase. Note that the Netherlands is located in the northern hemisphere and the climate is often chilly so you would need a warm set of clothes in the winter. Thick coats and wool pullovers are mostly worn in the winter (from December to March). Good isolated shoes (e.g. leather shoes) should be worn during the cold months in order for you to keep your feet warm. You should have an ample supply of hand moisturisers, lotions and lip gloss to keep your skin and lips from drying. A plug adaptor for round sockets is a must for your chargers and appliances that you intend to bring. You should try to carry just a handful of appliances since the cost of overseas shipping can be expensive. One can get in touch with movers in the Netherlands if you are transporting bulky items through an online directory. There are several factors to examine when deciding to move one’s belongings to the Netherlands. First is the country’s weather and climate to know what types of clothes to bring. Kaal (unfurnished) - where the units don’t include carpets, furniture or light fittings. Kaals usually have kitchen fixtures and a bathroom but the rest of the rooms are empty, so it is the tenant’s obligation to fill the space up. Gestoffeerd (semi-furnished) - accommodations which normally include curtains, carpets and several kitchen appliances. It is quite common in the Netherlands to purchase curtains or floorings from the tenants who are about to move out. However, as with any other destination abroad, furnishing a rental is considered as a hefty investment so expats can also consider bringing in their existing furniture and appliances. Several international moving companies provide door to door service to the Netherlands and these companies are of significant help since they’re the ones who will facilitate the whole moving process. Antiques that have cultural and art significance. The Prices of moving items to the Netherlands hugely depend on weight, quantity and distance. Just an idea, shipping the contents of a one bedroom apartment costs around €250 to €290. Expats who will move into a much bigger place with a two to three bedrooms can put their belongings in a 20ft container which costs roughly €400 to €450. There are also 40ft containers that can hold the contents of a five-bedroom house and are priced at €760 to €840. Famous for its colourful tulips and over 1,000 windmills, The Netherlands is undoubtedly one of the most sought after expat destinations in Europe. It has a robust economy, breathtaking landscapes and offers a relaxed vibe in the middle of modernised cosmopolitans. 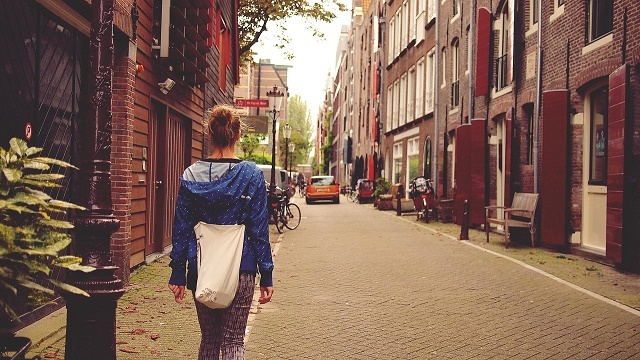 The Netherlands is a one-stop destination for expats who are searching for thriving career opportunities while getting to experience a unique foreign culture. Aside from being a global front runner in banking and commerce, The Netherlands is also popular for being the home of some world renowned art/historical museums such as the Van Gogh Museum and the House of Ann Frank. 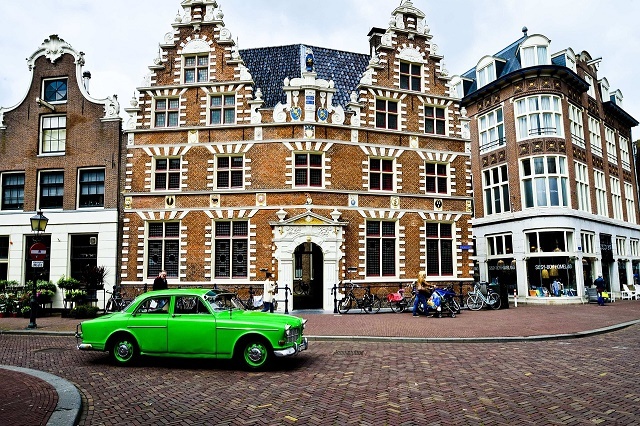 With its promise of an excellent quality of life, deciding to live here is definitely out of the question, but expats must still learn some basic facts about their new host country to make sure they’re all set for their new adventure in the Dutch nation. Furthermore, the Dutch are business-minded people and highly educated. Most are multilingual - proving to be an attractive cultural climate that has drawn both foreign companies and expats. The vibrant capital city, Amsterdam, is one of Europe's great destinations, and a center for business and tourism. The Hague is the seat of government and the monarch. One popular way to get to know Amsterdam is a canal tour. There are special canal boats called ‘museum boats' that link 20 of the city's major museums. Artistic luminaries make Holland a spellbinding art escapade - from the Dutch master Rembrandt to Van Gogh. The city is steeped in history, with notable sites such as Anne Frank's house. In total, it boasts 53 museums, 61 art galleries, 12 concert halls and 20 theaters. The Netherlands is considered as a small country with a total land area of 13, 018 square metres which mean that all of its regions pretty much experience the same type of weather. It has a temperate maritime climate just like England where rainfall is frequent all year long. The country has four seasons: summer (July to September), autumn (October to December), winter (January to March) and spring (April to June). Summers in The Netherlands are warm and sunny where the average daily temperature is 66⁰ F while winters bring just enough snow to cool down the temperature to 2⁰ C.
Expats should pack accordingly to the country’s climate. It is best to bring light weight garments as well as jackets, scarves and gloves to protect them from the cold brought by winter. Umbrellas and water resistant garments are also a must since The Netherlands experiences rain showers almost every day of the year. Air and water pollution are the top environmental issues that The Netherlands is facing nowadays. A huge number of its rivers are suffering from harmful pollutants such as organic compounds, agricultural wastes as well as nitrates and phosphates. Several major cities such as Amsterdam and Rotterdam are also reported to fail in meeting the European Union standards for the quality of air. One of the leading causes of air pollution in these areas is the carbon emission coming from vehicles which cause dangerous health risks to the residents. These pollutions impose serious health risks to the residents of The Netherlands that’s why the local government has been implementing environmental policies that’ll help clean the rivers and improve the quality of air. Amsterdam has been producing and testing several buses that run on hydrogen thus, zeroing harmful emissions. There are also over 15,000km of bike lanes and 13 million bicycles to promote biking as an eco-friendly way of travelling and an alternative to using vehicles. Those who want to buy fresh produce straight from the farms or want taste authentic Dutch delicacies can consider shopping in some of the country’s local markets. Amsterdam has some of the best markets in the country, but if expats want to buy somewhere far from tourists, they can go to the Feel Good Market in Eindhoven and the Food Hall in Rotterdam where they can buy cheese, meat, vegetables, fruits, seafood and various types of organic products.